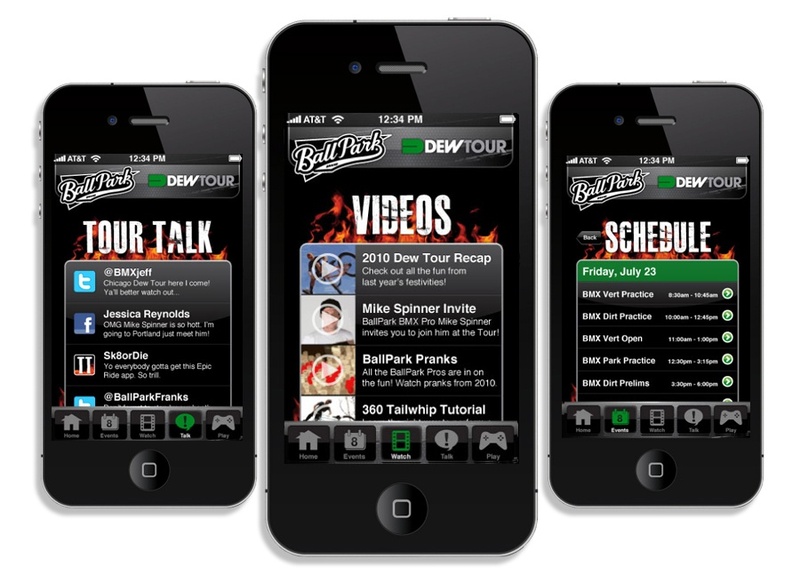 When BallPark wanted to stoke excitement for the 2011 Summer Dew Tour, we developed the Hot Zone Mobile App. Firing up the crowd months before the Tour came to town required some touch. 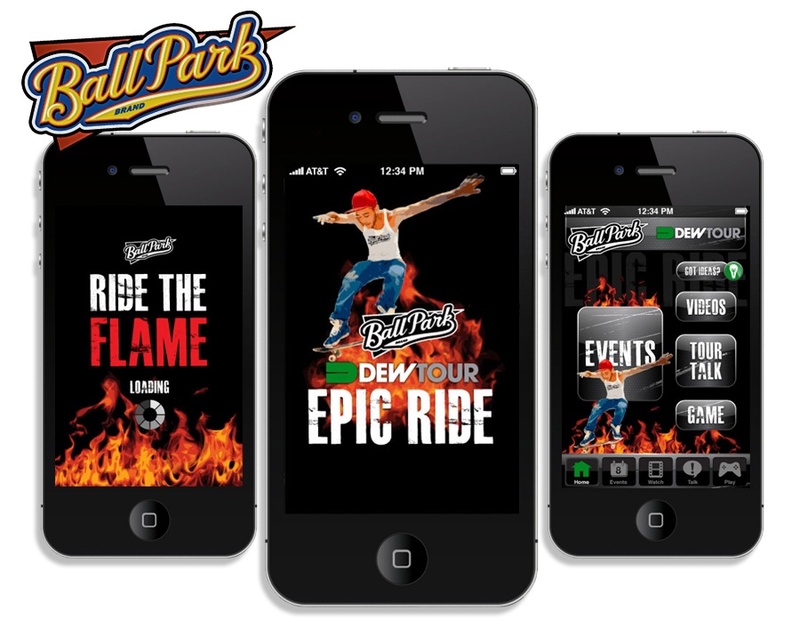 The Hot Zone Mobile App included up-to-the-minute event info, links to Twitter and Facebook, and branded content like the Epic Ride skateboard game and unique video content users couldn’t get anywhere else. 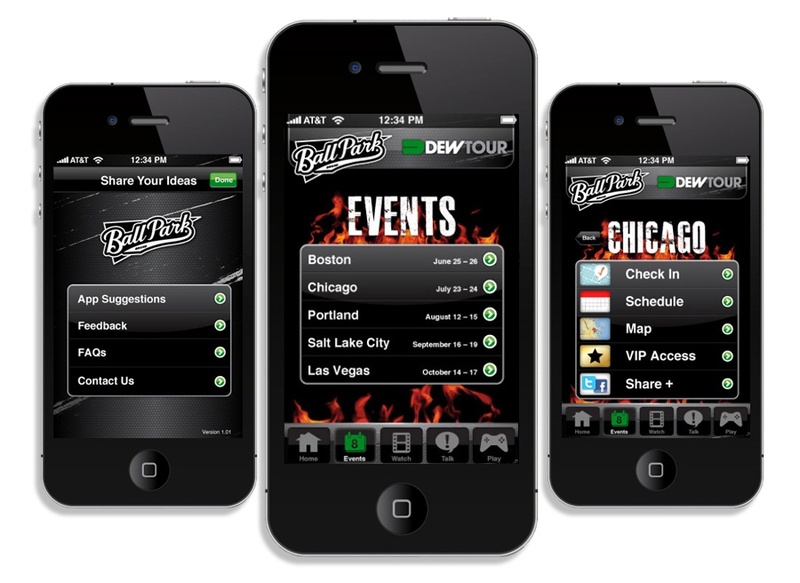 We tied app usage to VIP tour access and app-only prizes that strengthened BallPark’s ties to the Dew Tour community and drove visits to the on-site BallPark Hot Zone at Festival Village.